MSI today introduced a new member of its Classic series notebooks, the 14-inch CR430 model which MSI says is a high-end multimedia laptop with a reasonable price tag. The new notebook measures 344.4mm x 221mm x 28 mm, weighs 2.2Kg and feature color film print with checkerboard design which also protects against scratching and wear. 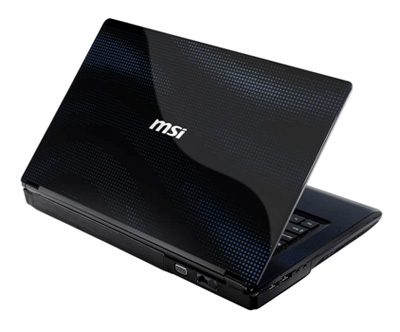 It has a chicklet keyboard and nickel-plated touchpad key, and also offers 720p high resolution webcam and cinema-class stereo surround sound, which is coupled with MSI’s exclusive Cinema Pro image enhancement technology. On the hardware side, the CR430 is fitted with 14-inch LED-backlit (1366 x 768) displays, AMD APU architecture processor, offering two cores with clocking speeds of 1.65GHz and AMD Radeon HD 6320 discrete graphics which supports DirectX 11. Other specifications include a 320/500/640GB storage space, Gigabit Ethernet, 802.11 b/g/n WiFi, a multimedia card reader, HDMI, two USB 2.0 and one USB 3.0 port, a HDMI output and a DVD writer. The laptop comes with 6-cell Li-Ion(4400mAH) battery backed by MSI’s ECO Engine power-saving technology which optimizes power use and maximize battery life. The price and release date are still unknown.